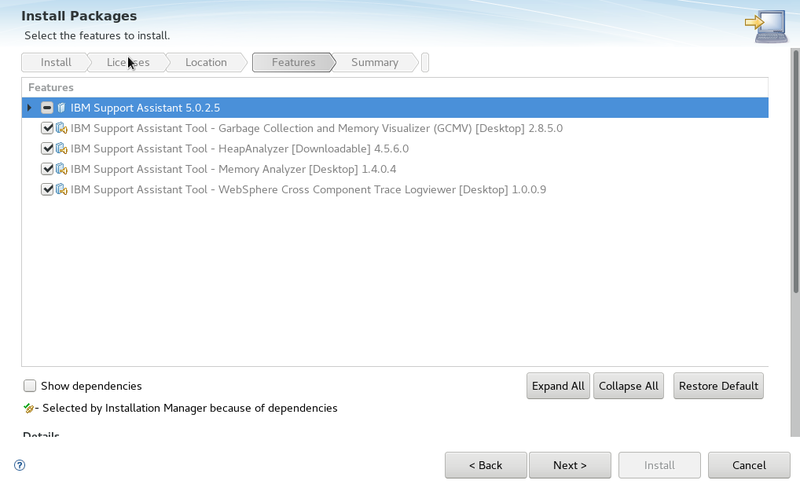 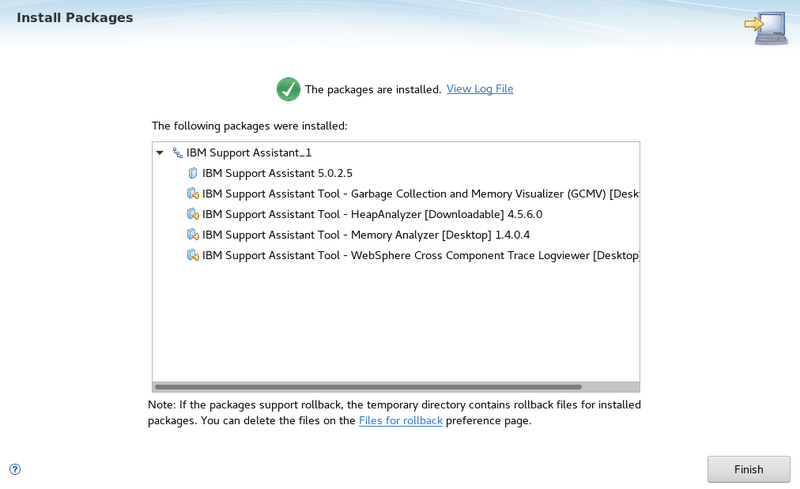 Add a repository to Installation Manager that contains Support Assistant. 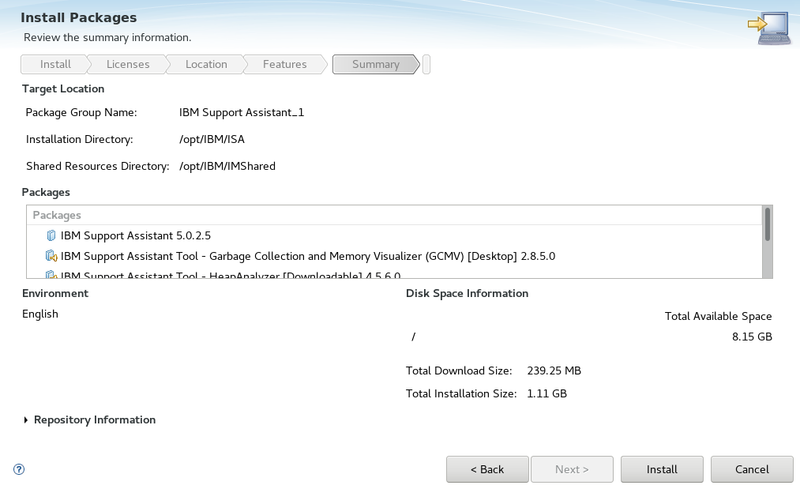 Check IBM Support Assistant and the tool that you want included with your Team Server and select Next. 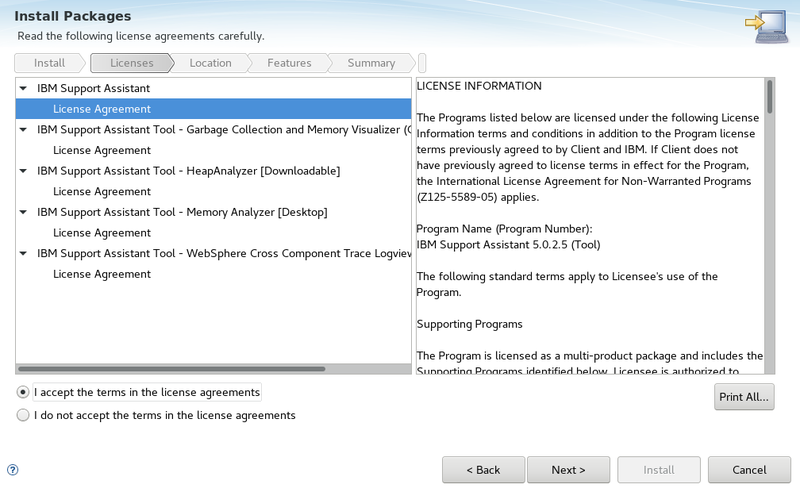 Check I accept the terms of the license agreement and select Next. 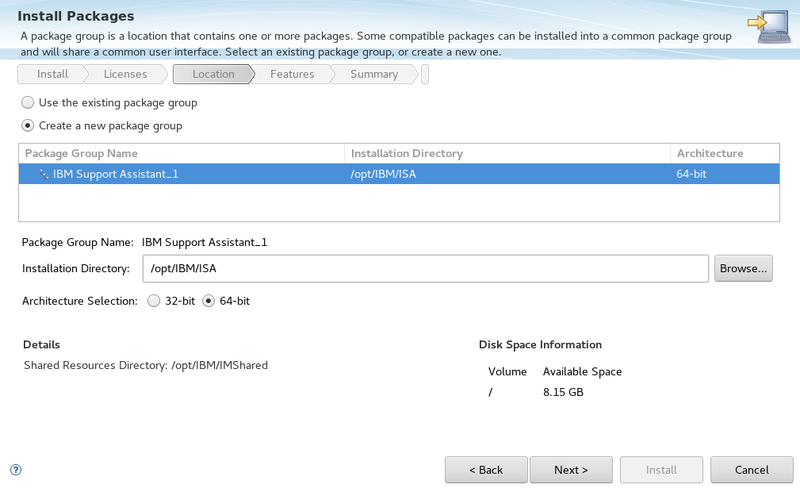 Select the directory where you want Support Assistant and the tools to be installed and select Next. 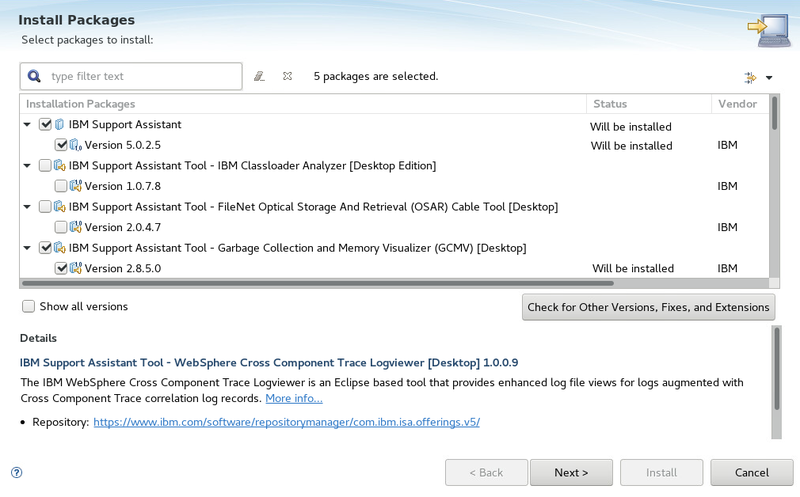 After the packages have been installed, select Finish.